With the advancement of technology, various treatments have been developed by scientists for human life. One of them is DNA editing of human embryos. Genetic defects are one of the most dangerous errors in the process of human development that has no accurate and efficient cure. Genetic defects not only affect you but also get transferred to many forthcoming generations. 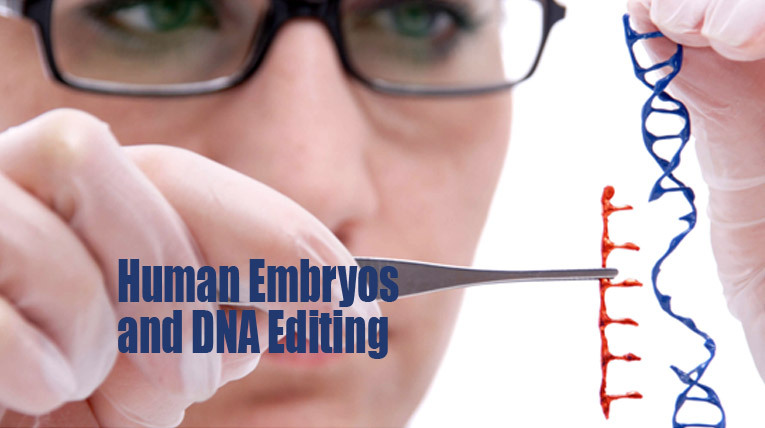 DNA editing of human embryos is no longer a science fiction. Today’s scientists are using some “microscissors” to cut and repair defective gene at embryo level so that it doesn’t get expressed during the development of the baby. In this way, these defects will not get transferred to their next generations. DNA repair is mostly done at the level of the embryo, and these embryos are selected and implanted inside the body through IVF. DNA editing is a method by which specific changes are made in DNA of an organism mostly at the level of the embryo and other stages. In this process, the enzymes are used which cut a particular sequence of the DNA. By editing the DNA of an organism, even characteristics can be changed. Firstly, the eggs and sperms are fused. This gives rise to the formation of the embryo. In this process, this embryo is subjected to a specific enzyme. DNA uses a particular type of enzyme, which is called engineered nuclease; these help in cutting down the specific sites of DNA. The other, which is designed to guide the nuclease to that particular site. After the cut, the cell has unique ability to repair the cut with the help of other machinery present inside the cell. Then after the cut, the defective sequence is removed. Finally, the edit is made in the sequence. This process is manipulated to make changes in DNA at a particular location in the genome. It is used to edit the genome of any organism. But it is against the law to use edited gene embryo in humans. Nowadays, it is used for research purposes.The main aim of this technology is to study the biology and development of the living system. This can be used to treat many genetic defects. This is also used to transform the human blood cells, and then, these cells are subjected back to the body to treat conditions like leukemia and AIDS. Some other genetic defects that can be treated are muscular dystrophy and hemophilia. It is one of the most efficient techniques to save the species such as the Tasmanian devil, which is now endangered by infectious cancer. Originally discovered in bacteria for the defense mechanism. It is the cheapest and an accurate system, which is used for genome editing. It contains a guide RNA which binds to the particular region which has to be cleaved. CAS is a protein that cuts the binding part and then edit the DNA. These have DNA binding part which binds to three DNA bases. In this way, it binds to different sequences of DNA. It also has a molecule that cuts the bound part of the DNA. These can be modified to bind a particular part of the DNA. Then the nuclease part of this is responsible for the cut. These all are techniques which are used to edit DNA. Ethical Issues: There are some moral issues with the usage of this technique in humans. Social Concerns: This technique is a tool which can be used to create a blend of animals and human’s DNA, intentionally or not, so there are many chances of misuse.